Enjoy 50 questions with answers, images, discussion and up-to-date references in a self-assessment module. Modules include a complimentary digital copy (e-book). Approved for 8 AMA PRA Category 1 Credits™. Save money by purchasing a CPI Select Six Series and select 6 CPI modules of your choice. • Enhance clinical practice strategies based on the practitioner’s self-assessment in the area of musculoskeletal radiology. In compliance with ACCME requirements and guidelines, the ACR has developed a policy for review and disclosure of potential conflicts of interest, and a method of resolution if a conflict does exist. The ACR maintains a tradition of scientific integrity and objectivity in its educational activities. In order to preserve this integrity and objectivity, all individuals participating as planners, presenters, moderators and evaluators in an ACR educational activity or an activity jointly sponsored by the ACR must appropriately disclose any financial relationship with a commercial organization that may have an interest in the content of the educational activity. The faculty and staff listed below have indicated that they have no relevant financial relationships related to the presentation of this material. The American College of Radiology is accredited by the Accreditation Council for Continuing Medical Education to provide continuing medical education for physicians. The American College of Radiology designates this enduring activity for a maximum of 8 AMA PRA Category 1 Credit™. Physicians should claim only the credit commensurate with the extent of their participation in the activity. 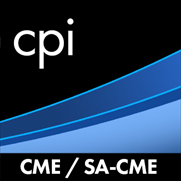 Credits awarded for this enduring activity are designated “SA-CME” by the American Board of Radiology (ABR) and qualify toward fulfilling requirements for Maintenance of Certification (MOC) Part II: Lifelong Learning and Self-assessment. Online claiming requires a minimum web browser version of Internet Explorer 10, Firefox 33, or Google Chrome 32.